It was a pretty reckless and quite stupid "tackle". There was no need for it. I was quite pissed at him when he did it. These sort of "tackles" do my head in because he manages to recover in time, he is at the halfway line and there is still plenty to do before McKay gets even close to goal. He could have easily tracked him back and tackled him cleanly without getting carded. These sort of tackles almost always come back to haunt you in games, with second yellow cards and missing important games with suspensions. FWIW.... I disagree.... that's just dreadful. Disappointing.... how could he expect to get away with something like that?? please Wendy - its a contact sport. McKay was making a break and Jamo needed to break down the play. it wasn't malicious, it was just a professional foul. and scotty being the professional he is - took one for the team. if Nichols had any guts he should have done a similar thing to McKay when he cut across field and set up a goal that was fortunately offside. plus McKay is a whinging prick of a Glasgow rangers reject. **** him. As a defender myself, we've all done this at one time or another. I bet Popa is no stranger to it either. Sometimes you just have to cop one for the team. In a close game where one goal makes all the difference, and your opponent is quick/skillful/causing problems, and they're breaking away, there will be times you just aren't confident enough that you're going to pick them up in time. In a situation like that, better to drag the guy back at the halfway line instead of near the 18 yard box where a deadball specialist could cause some serious damage. Sometimes you even get lucky and the ref calls play on. It becomes disappointing if the foul was a bad one (no need to chop a player just to break down the play) and it becomes a waste of a yellow if the score was already blown out by a couple of goals. Frankly, I think the playing squad lacked a little heart in "take one for the team" stakes last year, with only La Rocca and Santa really stepping up to do what needed to be done. Hopefully this year we'll have a bit more mongrel defending in that middle third. This is not like diving where you're trying to deceive the officials. It's pretty clear what you are doing when it happens. Unlike many yellow cards, you rarely ever see someone complain to the ref when they get booked for a professional foul. Everyone gets on with the game, and you hope you don't collect a second before the end. McKay, or any attacker in that position, would have been half expecting it. I foul intentionally in basketball so the subs can come on and replace me. PS The more I look at that tackle, the more outrageous it looks. It's cringeworthy. Don't care if he WAS taking one for the team. Looks like something SFC would do. PS The more I look at that tackle, the more outrageous it looks. Don't care if he WAS taking one for the team. The tackle doesn't look good but there were far more dangerous tackles during the game. Jamieson deserved a yellow for what was a "professional foul" and he got it. He also copped some stick from his former team mates so I think that level of interplay needs to be taken into account. Hopefully he won't be put in the position where he has to foul often and when he does I hope the foul will be a little more "cultured". The action Jamo took was just plain stoopid, as he could jog backwards & outpace Billy High Pants. If he picks up another slice of cheese in upcoming rounds & has to sit out a game, that's when Popa will get cross & the gravity of his impulse decision on Tuesday night will hit home. St Dino hasn't got a cult...he has only TRUE BELIEVERS! Jamison has to do a lot more than just have a tug at a Meow's shirt. He needs to score with a back heel. He needs to levitate above the ground in the penalty box directly in front of KGJ or Strebre & get a spot kick. He needs to score in a 6-1 thumping of Adelaide. He needs more fist pumps, more shoot farkens! But yeah...done good on Tuesday night. And the Popa Parker & Balkanite Hipster Neck Warmer were very handy for keeping out the Riff chills. People having a go at Jamo for picking up a yellow in this instance have obviously never played the game. If he lets McKay cut across him without pulling him down, he isn't doing his job. 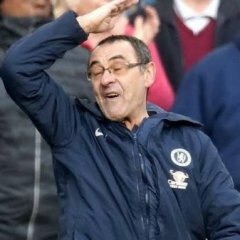 And if I'm bringing a player down knowing I'll get a yellow regardless I'm not just going to give their shirt a little tug or clip their ankles, I'm going to make it worth a yellow. Really don't know why this foul is discussed at all. Had he been red carded for this, and had we consequently lost the game then it would be a different story. I for my part wish Adeleke had done this to Ibini in the first S3 Parra derby. He favoured a tweet of mine during the week, whereby I suggested Perf Glory would implode & claim the spoon. They was evidence of dissension amongst their players, in the 2nd half against CCM yesterday. Western Sydney is my backyard. It's where I was born and raised and it's where I fell in love with the beautiful game. Even as a six-year-old kicking the ball around for Kings Langley FC, I knew football was what I wanted to do be doing with my life. That said, you can imagine how special it feels to be playing my first Sydney derby for Western Sydney â€“ the place where it all started for me. 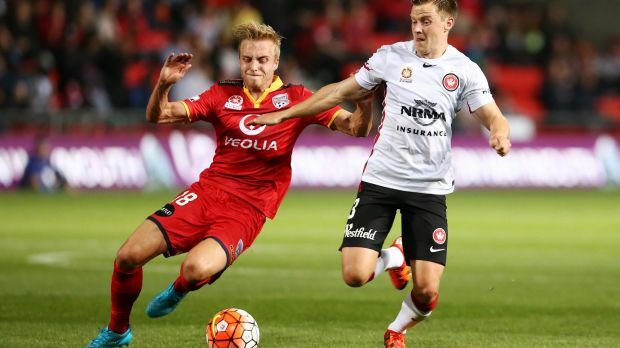 It's the biggest event in the A-League and up there as one of the biggest sporting rivalries the nation's ever seen. 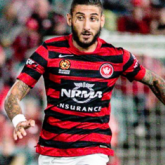 The Sydney derby has become the game that divides the city and this weekend will be no exception. As a youngster kicking a ball around in western Sydney I could only dream of playing in front of a sold-out stadium, having 40,000 fans cheering me on, and this Saturday that dream is going to become a reality. 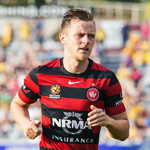 From my junior days with Blacktown City, I can tell you that western Sydney clubs have always been amongst the strongest and have produced some of the best players this country has to offer. It has always been a perfect place for an A-League club. Truth is, the fans here were ready to support a local side long before they got one. I think their genuine love of the game and of the Wanderers is part of what makes this derby so special. It's not difficult to see how passionate our fans are. 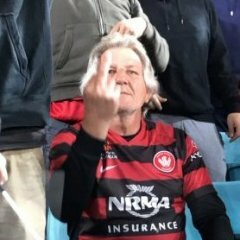 I see it in the jerseys worn around the local shops in the lead up to game day, I hear it in the roar of the crowd and I feel it in the community spirit the Wanderers has created. There's a real sense of belonging to something when you support the Wanderers and that's what our fans convey every time they turn up in their thousands to drive us on. This Saturday will be no exception. Our objective this season is pretty clear: we want to be the best team in the A-League. As a club, we've enjoyed a lot of success so far, so I've got no doubt that we're going to have a successful season. In terms of this Saturday, we're feeling fresh and we're prepared to take on anything Sydney FC can throw at us. 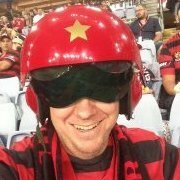 It's no secret I've played with other A-League clubs, including Sydney FC, but I've got to say the treatment I've had here with the Wanderers has been world class. "Popa" [coach Tony Popovic] and the boys have welcomed me in with open arms and I couldn't be happier. Although I've got mates at Sydney FC, too, on derby day friendship comes second. Come Saturday there'll be no better feeling than helping the boys stick one in the back of the net against our rivals at Allianz. Whichever side of Sydney you support, this game is going to be huge. A sold-out crowd for the eighth consecutive time is guaranteed and I'm sure it'll be as much a chanting battle between the RBB and the Cove as it will be a physical one for us on the pitch. I'd back the west to win on both counts. Reflecting on my football career so far, it's struck me as ironic that I've ended up right back where I started but in the best way possible. There's nothing better than playing for the community you grew up in and no better feeling than making that community proud. Sure, the west might be geography, but Sydney is red and black. You would never hear anything like that from and Eastern Sydney muppet. Well said Jamo. You do notice that our players always feel more pride in the jersey. Even guys like Rudan and Og like the mentality of our club more. It's very simple...compare and contrast what Jamo said to that numpty Brosque. That last line sealed the deal for me, legend. Seems like Jamo will be eating free El Jannah for the rest of his life.